TayScreen continues its 10th Anniversary celebrations with a FREE full day event of educational and inspiring seminars. Time: 10am-5pm. Networking drinks 5pm-6pm. Lunch and refreshments provided. The event is FREE but places are limited. Email anna@tayscreen.com to book. Mark Grindle trained on UCLA’s Graduate Screenwriting Programme, at Columbia Pictures and on the critically acclaimed Northern Exposure. He has been credited since as screenwriter, script editor, producer and executive producer on over 200 hours of commercial film and TV output. He wrote the screenplay for the film The Princess Stallion and he devised and co-wrote the interactive adventure series Bunja. Mark coordinated The Writers Factory introductory screenwriting courses across Scotland; set up, established and taught the Masters level Screenwriting and Interactive Entertainment programmes at Screen and Media Academy, Scotland and was industry storytelling mentor to Dare to be Digital, the international games prototyping scheme. Mark runs the mentoring programme The Gameplay: Screenwriting for Games and now oversees a programme of research and development investigating the potential of computer games storytelling for ‘good’. Kirk Dailly is an associate solicitor in the Corporate & Commercial team at Blackadders LLP, one of the leading law firms in the east of Scotland. He joined the firm in 2005 having graduated from the University of Dundee with a first class honours degree. With a particular focus on the technology and creative sectors, Kirk regularly advises clients on intellectual property matters, including trade mark registrations, IP licences, copyright issues and brand protection/exploitation. 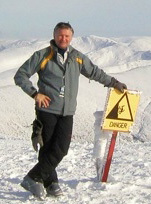 Glynn Henderson has been in the film and television production business for 30 years. In that time he has worked on a wide variety of TV programmes from major drama to newsgathering. He has worked on most of the movies filmed in Scotland during the past seven years as well as being the safety consultant on big budget films such as World War Z and Hansel and Gretel: Witch Hunters which are due to be released next year. The safety training course Glynn runs is endorsed by the UK Production Safety Passport Scheme and candidates attending the course will be registered on the Passport database. The seminar Glynn will present is an introduction to health and safety training for film and TV production. Trained at Duncan of Jordanstone College of Art and Design in Dundee, Morag McLean is a sculptor who has worked in the TV and film industry for many years. Her experience has grown and adapted as film-making development and expectations have become more sophisticated and demanding. 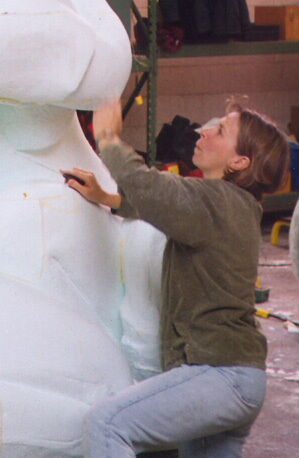 She has been a lead sculptor for many film crews, setting up safe workshops and leading large crews of sculptors, keeping projects on time and on budget, and having fun doing it. Although Scotland is her home, most of Morag's work for major film companies takes her to the West Coast of Canada for considerable periods of time. Morag's film credits include X-Men: The Last Stand, Percy Jackson and The Lightning Thief, Red Riding Hood and upcoming The Seventh Son.